Göbekli Tepe is one of the most impressive Stone Age sites in the world. On June 24 the World Heritage Committee will decide if the site is going to be included in the World Heritage List. Find out more about recent developements at Göbekli Tepe! Göbekli Tepe is unique not only and in its monumental Stone Age architecture, but also its art. The site is located in the south-east of turkey and is one of the greatest archaeological sensations of recent times. The famous monumental T-shaped pillars are probably the most characteristic features of Göbekli Tepe. The impressive architecture is interpreted as a temple complex and dates back to the 10th-9th mill. BCE to the Pre-Pottery Neolithic. More than 200 such pillars were found at the site. Each one can be up to 6 m high and weights up to 20 tons. The pillars were cut with great precision from blocks of quarried stone without the use of metal tools, and decorated with relief carvings of animals. The monuments on Göbekli Tepe are a testimony on the history of the transition from hunting communities to agrarian societies. Arial view of Göbekli Tepes enclosure | © Schmidt, DAI. The hill was first surveyed in the 1960s. In 1994, archaeologist Klaus Schmidt was the first to recognize just how extraordinary the place was. 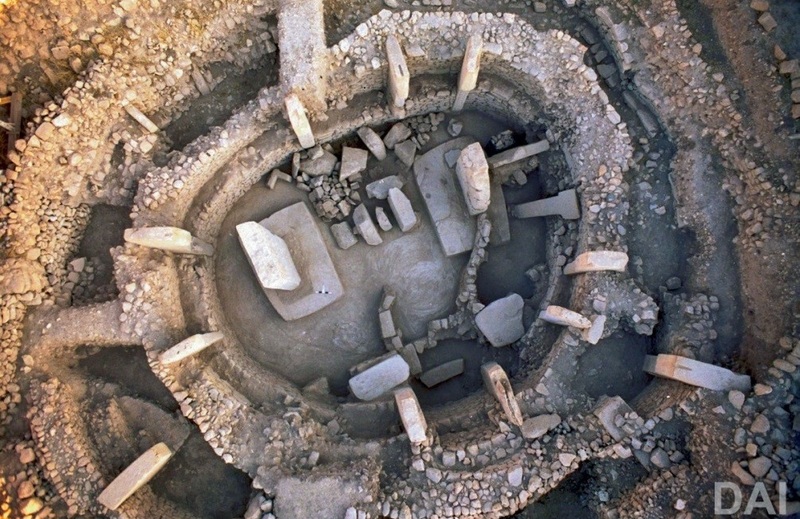 Since then, archaeologists excavated at Göbekli Tepe. The research project is conducted by the German Archaeological Institute as part of a joint German-Turkish collaboration. The project is supported by the General Directorate of Cultural Assets and Museums, the Ministry of Culture and Tourism of Turkey and the Şanlıurfa Museum. A convincing preservation plan is one of the criteria for a site’s inscription on the UNESCO World Heritage List. Göbekli Tepe was included in the UNESCO’s World Heritage Tentative List in 2017. The 42nd session of the World Heritage Committee will take place between June 24 and July 4 in Bahrain. 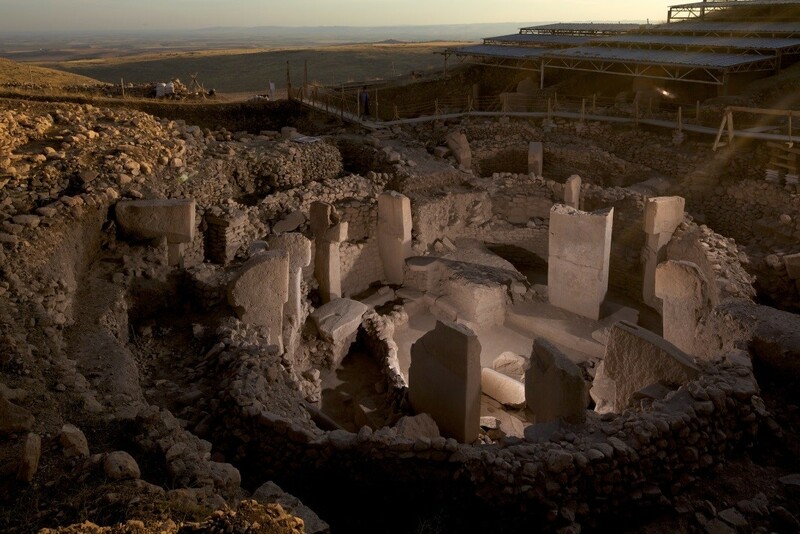 Then it will be decided, if Göbekli Tepe is going to be a World Heritage site. T-shaped stone pillars at Göbekli Tepe | © Becker, DAI. 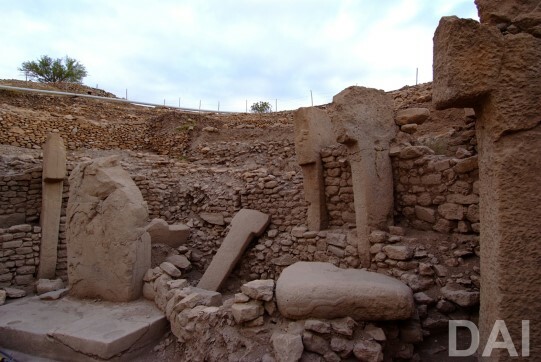 Conserving the site and opening it up for sustainable tourism has been central to the work carried out by the German Archaeological institute at Göbekli Tepe. The activities range from cleaning and restoring the pillars and the stone-and-mud walls to the erection of protective shelters over the most important architectural features. 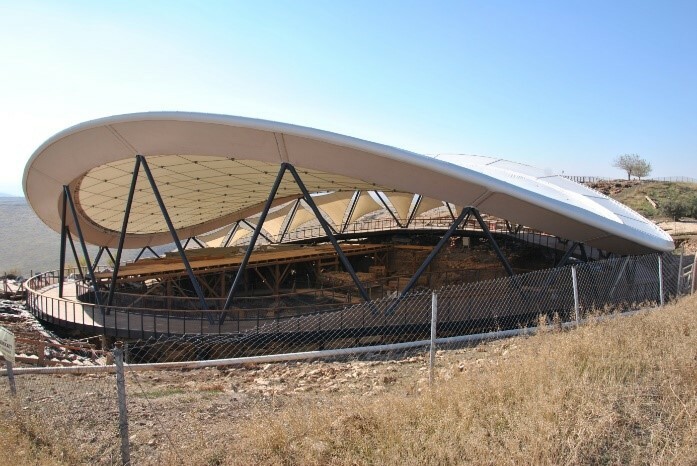 Protective roof at Göbekli Tepe | © DAI. Since 2011, the Global Heritage Fund in cooperation with Brandenburg Technical University (BTU) in Cottbus and the DAI excavation team has been working on a comprehensive site management and conservation plan. The experts aim to allow visitors to explore the unique site, while at the same protecting the archaeological remains. In 2013, a temporary protective shelter was erected over the principal excavation area. Since 2016 two protective roofs have been constructed, protecting the site against climatic conditions. The building work was implemented within the framework of the EU funded project “Revitalisation of History in Şanlıurfa”. The construction works of the past years have been accompanied by meticulous analysis and the repair of the walls and monoliths. The archaeological features were left as far as possible in their original condition upon exposure. During the excavation phase, pillar re-erection has only taken place in exceptional circumstances. Only when toppled or leaning monoliths obstructed further excavation work and hence prevented further discoveries about a unique phase in human history were they moved. After being closed for construction works the past 18 months, the official reopening of Göbekli Tepe is scheduled in summer 2018. The touristic development of the impressive Neolithic site was expedited during the past years, too. Göbekli Tepe visitor center | © Doğuş Group & MF Barranco. Drawing inspiration from the circular layouts of the world’s first temples the Doğuş Visitor Centre was build. In a state-of-the-art animation centre the guests can find out more about the site using multi-media installations. The story of the possibly oldest cult structure of human history is projected on 200m-surfaces that allow visitors to circulate throughout the space and interact freely. Overall, we are looking forward to an exciting and eventful summer at Göbekli Tepe. Image: Göbekli Tepe enclosure | © DAI.